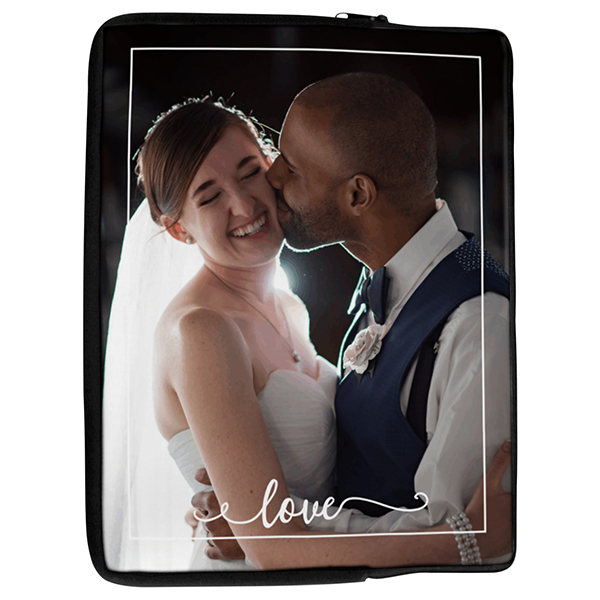 Show off your love (or at least the adorable photographic proof of it) with our love laptop case! Show off your love (or at least the adorable photographic proof of it) with our love laptop case! features white text reading "love" in whimsical hand lettered font. Our cases measure approximately 14.2" x 10.8" so it fits many types and sizes of laptop. Our items are made in the USA and most orders ship next business day.